I think we can all agree that the 2016 Olympics in Rio have wrought a roller coaster of feelings within athletes, sports fans, and spectators alike. Suffice to say, this year we've experienced pride, inspiration and even hilarity and we've no doubt all witnessed moments that have been truly moving (I promised myself I'd never cry at sports, but when Simon Biles won that gold medal? Oh my word). As a result of all these extreme emotions, performers at the 2016 Olympics Closing Ceremony have a bit of a tough task on their hands in both paying tribute to the overall Olympics experience while also saying farewell to it. Luckily, the performers at the Olympics Coming Ceremony are Julia Micharls and Norweigan DJ Kygo — and his song "Carry Me" is the one with which we'll get to say our goodbyes with. Like something of a cosmic, distant love ballad which sounds as though it's skipping across the stars, "Carry Me" is tranquil yet invigorating. It's the musical equivalent of a deep spa session, which I'm sure every Olympic athlete is likely dreaming of (and deserving of) at this stage. But, it isn't just the sublime music which makes the song an ideal choice for the Olympics Closing Ceremony — the lyrics to Kygo's "Carry On" are actually pretty anthemic and full of drive. Though the song is clearly extremely romantic, delivering the sentiments of an individual yearning for the person that they believe completes them. The song easily also doubles up as an anthem of determination. Featuring powerful, dreamy vocals of singer Julia Michaels, the song combines vulnerability with the desire to be better, do better and possibly start over. Like a kid and a teddy bearLike a leaf blowin’ in the airCould u carry me? Could u carry me? Obviously, the carry me sentiment of the song implies some kind of support, but by using the similes of a teddy bear and a child and a leaf in some wind, the song is also expressing how vital and majestic that support system actually is. The teddy bear is nothing without it's child, and the leaf can't get to it's destination without the aid of the wind, and that's a sentiment that I'm sure all Olympic athletes can relate to — a support system of coaches, friends, partners and fans are crucial for helping to push athletes to their optimum potential. Everyone can achieve, be something and do great things, but few can do it on their own. After these initial lines, however, the similes for these support systems become more literal. They reference victory, birth, and the anguish of a lovers departure, all of which need the tactile support of physical connection. The flag wave, the proud embrace of a baby, the warm reconciliation — these are all powerful celebrations which happen every day. We carry each other as a society, we carry each other in romantic relationships and we carry each other as family. It's probably worth reminding everyone right about now that when you're part of a sports team, of course, every member of that team carries each other on their route to victory. It's so apt, it's crazy. Like a flag after a warWhen you’re gone and when you first bornCould u carry me? Could you carry me? So I need to knowCould u carry me?Beggin’ to ur heart againCould u carry me?Cryin’ to ur distant handsCould u carry me?Runnin’ back to where we started fromCould u carry me? By asking to be carried, the song is suggesting the need to return to a love, but also the idea that such a return has to be welcomed and actively pursued by the other person. One does not simply walk back into "distant hands," no way. Such a reconciliation needs to be brought into fruition, demanding action, reciprocation, and the opportunity to start all over again should everything go wrong. And Olympic athletes? Do you not think they feel this way when they return back to their home countries after they've competed in the competition? They'd certainly be wanting a warm, welcoming return, and hopefully one which comes with the jangle of multiple shiny, victorious medals. But those who perhaps weren't as successful will surely also be wanting that opportunity to start over, and try again. 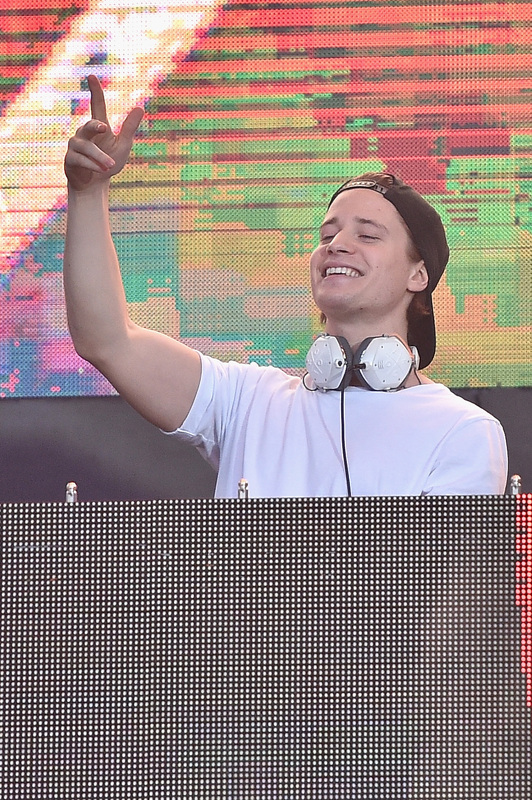 Seriously, Kygo's "Carry On" works on every level for the Olympics Closing Ceremony this year, and I've no doubt that it's going to absolutely slay (hell, there may even be some tears).